BRANDON, MB – Next week, 3,000 people from as far away as China, Brazil and the Philippines will start a new chapter in their lives at Brandon University (BU). The academic year begins with classes and orientation events including a giant outdoor concert in Brandon’s downtown featuring Juno award winners The Sheepdogs. 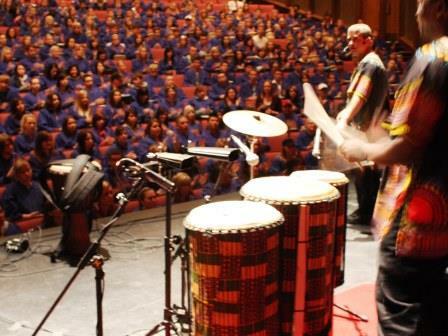 The journey begins September 3rd with a day-long orientation that includes students, parents and BU staff banging on drums in a team-building session in the Westman Centennial Auditorium, led by the international Drum Café group. Through the first two weeks of September, students will enjoy a pancake breakfast, barbeque, dodge-ball tournament, tipi raising, two socials organized by the Students’ Union, trivia and karaoke nights, learning skills workshops, information sessions, and the Rock The Block street festival. The full schedule: https://www.brandonu.ca/orientation/schedule/.